Eighteen-year professional beach volleyball veteran and champion Albert “AL-B” Hannemann founded the National Volleyball League (NVL) in 2010 at a time when the U.S. was without a cohesive domestic tour, grounded in a vision to unite the volleyball community and create a model for the sport that would ensure its long-term success. One of the game’s most passionate advocates, Hannemann knew the sport’s potential and believed a league built from a player’s perspective would create a radically different experience for both the athletes and the fans. In May 2011, Hannemann launched the NVL’s first event in Baltimore hosting the finals on the infield of Pimlico Race Course on Preakness Day where thousands of fans traditionally gathered each year before the evening race. Hannemann’s choice of venue for the NVL’s inaugural event became a signature component of the league’s marketing strategy – to produce tournaments in conjunction with large-scale events, and showcase the players, the sport and the lifestyle to a broader audience. Equally important for Hannemann, was a new focus on the sport’s development and building a pipeline of future professionals. Under his leadership, the NVL developed NVL RIZE, a grassroots tournament series and affiliate membership program to offer more opportunities for junior and adult players across the U.S to compete, while supporting existing beach volleyball club directors, tournament directors and facility owners nationwide. He also forged a groundbreaking partnership with Club Med Academies, establishing the country’s first beach volleyball academy in Port St. Lucie, Florida, providing private education and world-class instruction to players from the U.S. and around the world at this eight sand court state of the art facility. Hannemann attended UCLA and won a national championship as a freshman before transferring to the University of Hawaii where he was Student Athlete of the Year and an Academic All American. As a professional, Hannemann’s wins included the prestigious Hermosa Beach Open and a U.S Open Champion in Manhattan Beach. He also won a gold medal at the Olympic Festival. He maintains a majority interest in several other business ventures including event marketing company, Beachfest Events, and fantasy camp travel business, Volleyball Vacations. He is also the founder of the PlayFIT Foundation providing children in underserved communities with volleyball equipment, health and nutrition education seminars and college scholarship opportunities. Hannemann is a Big Brother with Big Brothers of L.A and teaches volleyball to children in Los Angeles and at the Boys and Girls Club of Venice for the AAU (Amateur Athletic Union). His favorite pastime is spending time with his wife Lisa and three daughters Kalia, Makeila and Maia. They love traveling the world together, going on new adventures, and having Friday night movie nights. CFO Molly Menard co-founded the NVL in 2011, leaving a career in private equity and bringing with her a business acumen developed under the guidance of one of America’s most successful self-made entrepreneurs, John Menard, Jr., founder of Wisconsin-based home improvement chain, Menards. Over a span of more than a decade, Menard oversaw various aspects of the family business, including the launch of the company’s first e-commerce site and running the motorsports marketing department for Menards/Team Menards. Menard found her niche as an investment analyst for the Menard, Inc.’s internal private equity fund 2008-2010, where she served on several boards of the fund’s portfolio companies. Menard currently serves on the Board of Directors for Menard, Inc. and is a member of the company’s Investment Committee. In a unique dual role with the NVL, Menard not only oversees the league’s finances and growth strategy, but also serves as an active NVL player. While earning her B.S, in finance, Menard played collegiate volleyball at the University of Wisconsin-Eau Claire, where she started all four seasons and was captain in 2005, earning All-American Honorable Mention. 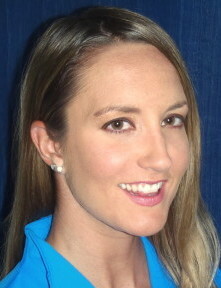 Her first year on the beach was in 2011, and she qualified for three out of the four events in the NVL’s inaugural year.